Looking for more information about movies that have sequels or even a list of movie sequels? Some of the most popular films coming from Hollywood are the second take of an already made film. A sequel is when another film is made featuring the same cast of characters or plots. Why Make A Movie Sequel? Being a part of a series of movies or books. Films like Harry Potter and the Sorcerer's Stone were inevitable to produce a sequel. Why? In the case of Harry Potter, the film was based off of a popular book. The book itself had 6 sequels. As a result, the movie was part of a much longer series that required a sequel. Critical or box office success. Sometimes when a movie is so well received, those behind the film wonder if another take could be just as successful. Making a sequel requires time and money, two things that can be made back trifold through a sequel. The lure of money is behind many sequels. Plot. Some films have no intentions of producing a sequel but end in such a manner that the fans end up wanting more. For example, a cliffhanger ending or an end where fans feel there could be more often produce great circumstances for a movie sequel. Cast members. Sometimes the stars behind a movie may want to get back together and make another episode of the film for either their careers or for the fans. With all of the movie sequels out there, it might seem impossible to decipher which the best movie sequels are. 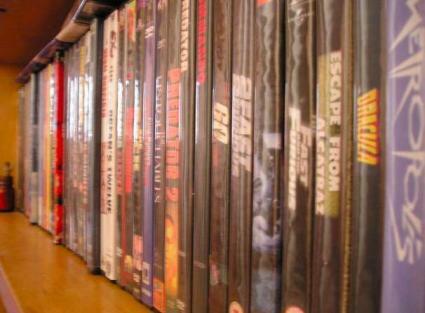 However, when it comes down to it, the 'best' movies are the ones that you enjoy the most. Look up some of the information on a few films and pick out the ones you think might be your new favorite movie to watch tonight!